A network bridge can either be software or hardware with the help of which you can connect to various networks and communicate with them effectively. 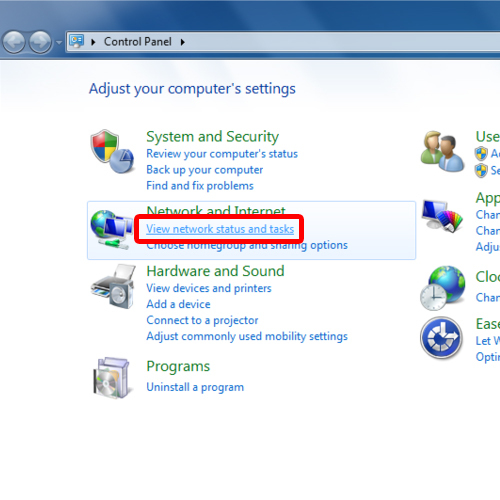 In windows 7, you can create only one Network Bridge. With that said, one network bridge alone can handle multiple connections at the same time. 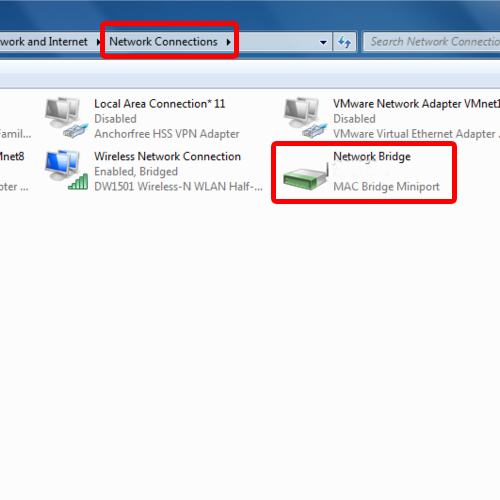 In this tutorial, we will show you how to create a network bridge. First of all, you should never try to make a bridge between a network connection and an internet connection. That is because, it will create an unprotected link which will make your network accessible online. 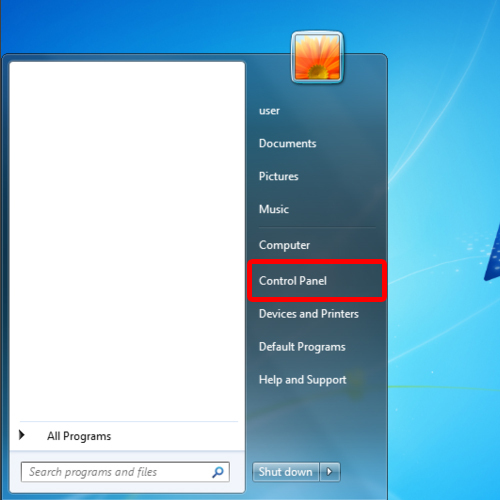 To create a network bridge, first of all, open up the start menu and click on “Control Panel”. Once the Control Panel window opens up, click on the “View network status and tasks” option. This will open up the network and sharing center. 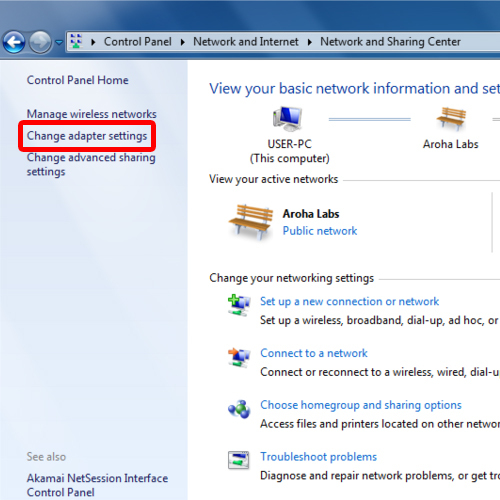 When the “Network and Sharing Center” window opens up, click on the “Change adapter settings” option located towards the left side of the window. With that done, the “Network connections” window opens up. Over here, select multiple adapters by holding the ctrl key while selecting. 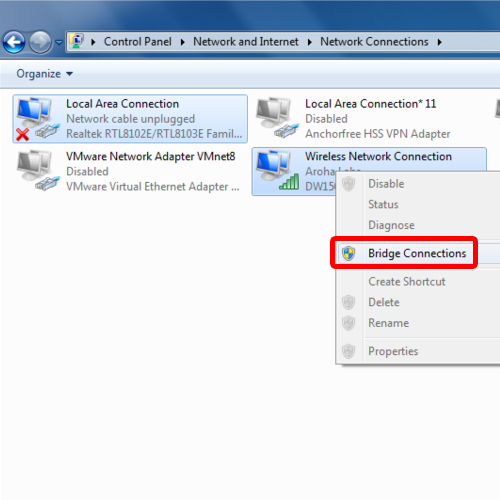 Once done, right click and select the “Bridge Connections” option. With that done, windows will bridge the selected connections. The processing might take a little while. Once the processing is completed, the network bridge will be automatically created. 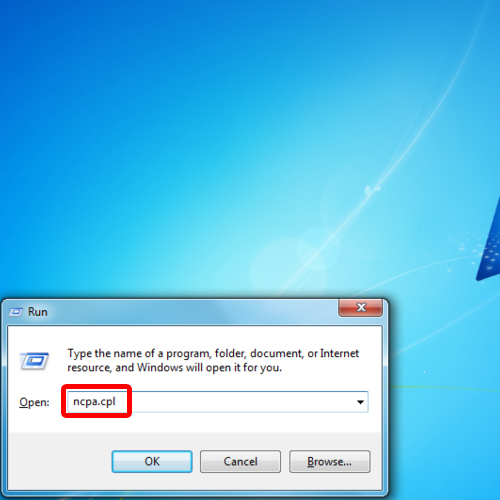 If you want to access “Network Connections” directly, you can do so by opening up the Run command, typing in “ncpa.cpl” and hit enter.